The USA BMX Grand Nationals is the self proclaimed Greatest Race on Earth and the 2014 edition of the event held a lot of twists, drama, and excitement on the way to watching a winner for the night as well as on the quest of crown a year end #1 Pro National Champion. 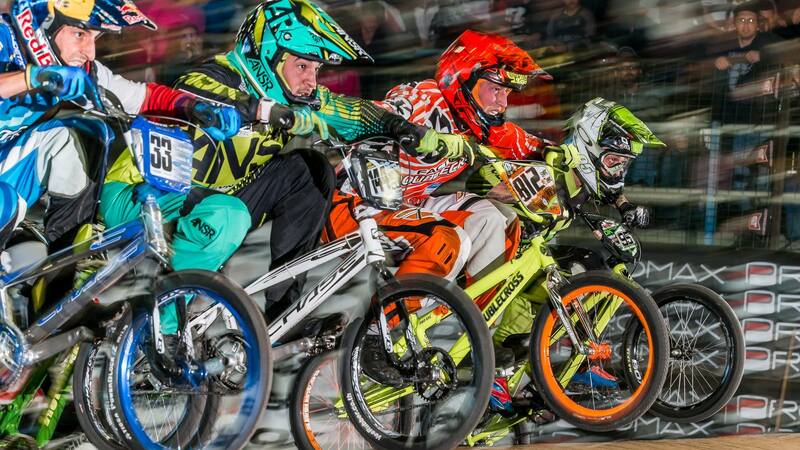 Chase Pro riders Connor Fields, Joris Daudet, and Anthony Dean all were looking to end the season long journey on a high note and by all 3 making there way into he main event, they definitely put an exclamation point onto their 2014 BMX racing season. Connor, Joris, and Anthony started things off in an awesome way in main event one, as Joris would grab the holeshot, with Connor in tow, and they would finish up that way, with Anthony in 6th. Main #2 would really mix things up, as the guys were in Mid pack of the race and the points would really be scrambled. While the Chase boys were going for the nights overall race victory, Maris Strombergs needed to finish 1st or 2nd overall to take the year end title. Going into main event #3, Maris and Connor were tied with low points, with Joris also tied for 2nd overall, and Anthony looking to be in the 5th place overall spot at the moment. When the gate dropped for main #3, it was Maris with the holeshot and Connor in tow. Joris and Anthony were not far behind, battling it out, but the overall win and title battle overshadowed the rest. Maris had the perfect lap at the perfect time, with Connor keeping him on edge the entire lap, but Maris was untouchable, on his way to his first USA BMX #1 Pro title. Connor would finish up 2nd overall for the night and 3rd overall for the USA BMX Season, and Joris had the points tie win to take 3rd for the night! Anthony would finish the best of the rest in 4th, all putting a great end to the 2014 USA BMX Season. Wrapping up a great USA BMX season, we all at Chase want to thank all our fans, Pro riders, supported riders, and supporters of the brand for another great season of BMX Racing!